Playa de Aro (or Platja d’Aro) is a town with a population of about 20.000 inhabitants in winter and over 100.000 in summer, which is located in the province of Girona (Gerona) in the Catalonia region in the Costa Brava, Mediterranean Sea. 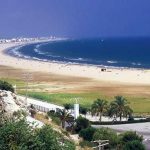 It is a tourist destination with beautiful beaches and quiet coves of fine golden sand, clear blue water, breathtaking landscapes and natural surroundings to take a peaceful stroll for lovers of the outdoor activities, golf, watersports, leisure and children activities to 100 km away from Barcelona City. Castell d’Aro (Benedormiens Castle) is an interesting castle which dates from 1041 and currently is an art galery and exhibition, one place especially worth visiting for those who are interested in art and Santa María Church’s are in the history center town. Cavall Bernat is a way through the mountains which lets us to find beautiful coves, it is recommended to those who are in search of a different holiday and the opportunity to enjoy some beautiful sceneries. The Poeta Sitja Park is situated in the old town. Aquadiver, a watersport park. 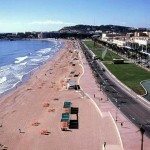 The spertacular promenade is the main meeting point of the town, it is in a parallel diretion to Large Beach, in which people can find a great number of bars, cafés, restaurants, hotels and shops and so on, people should spend at least one hour of their free time to stroll by this nice promenade in the evenings to enjoy its outstanding views. 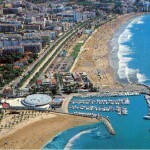 Obviously Playa de Aro is also known for other things apart from its delicious cuisine, excellent wines and traditional gastronomic events, so many tourists will definitely be going back in the next years. 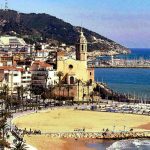 – Sitges: Sitges is situated on the Mediterranean Sea coast in the province of Barcelona (Catalonia) in the east of Spain just to 40 km away from Barcelona city.